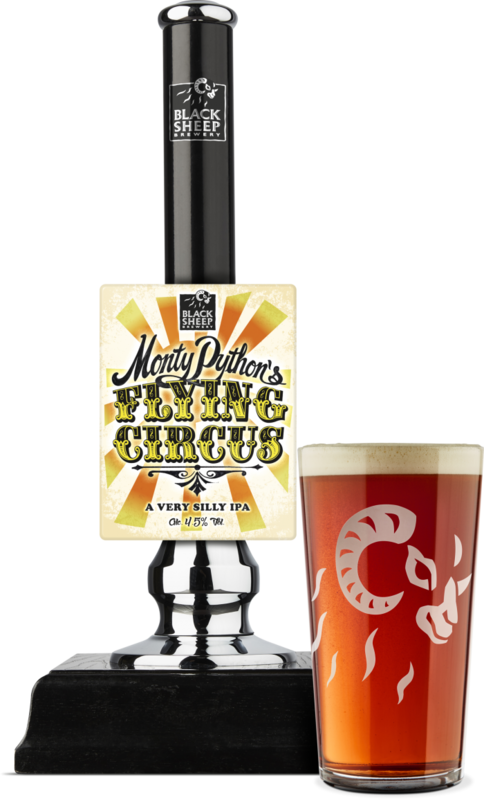 Created in 2018, Flying Circus completes our trilogy of beers with the team at Monty Python. It is brewed using a blend of pale ale malt and crystal rye to give a light red tinge, while the hops of First Gold, Galena and Amarillo offer peachy, citrus characters. At 4.5%, it offers a very silly option when you’re next down the pub with your pals discussing interesting facts about the Norwegian Blue Parrot. Flying Circus is of course a nod to the legendary TV series – of the same name – that aired between 1969 and 1974. Amber with a red tinge. Stonefruit with subtle hints of pine. Notes of fresh peach, caramel and a touch of citrus. Bereft of life Norwegian Blue Parrot with a wafer thin mint to finish.